Our program begins with online prior learning through access to our Learning Sprints video course, tools and downloadable templates. The intensive in-person workshop will help to apply and embed this new learning so participants feel confident to apply it within their own unique context. 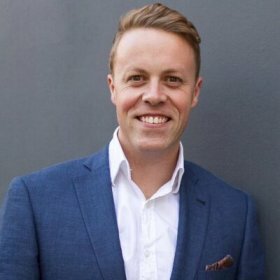 Dr Simon Breakspear is known internationally for helping educational leaders navigate complex change, harness robust evidence and drive continuous improvement for better learning. Simon is the Founder and Executive Director of Agile Schools, and Research Fellow of the Asia Pacific Centre for Leadership and Change at The Education University of Hong Kong. Simon holds Bachelors degrees in Psychology and Teaching, a Masters of International and Comparative Education from the University of Oxford and a PhD in education from the University of Cambridge. Simon began his work in education as a high school teacher in Sydney.